Ronald T. Jepson & Associates, PS is a Professional Land Surveying and Civil Engineering Services Company established in Whatcom County in 1968. We are a full service consulting firm with a team of highly trained, experienced, and professional Civil Engineers and Land Surveyors providing planning, civil engineering, and land surveying expertise to both public and private sector clients. 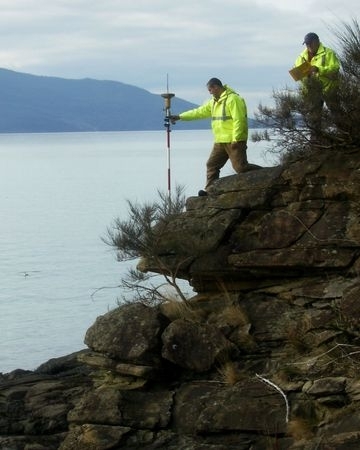 Located in downtown Bellingham, our firm has a history of providing all types of surveying and civil engineering design services to clients throughout Seattle, Island County, Snohomish County, Whatcom County, and Skagit County. Whether working for residential, commercial, or industrial clients, we aim to provide services from initial planning and feasibility studies through design and construction. We have and will continue meeting the needs of homeowners, developers and contractors. Additionally, we are extensively involved in helping our clients gain compliance with local land use regulations. This applies equally to a simple site plan or a complex set of civil engineering drawings for a major project. We are not only committed to staffing the firm with the finest professionals available, Ronald T. Jepson & Associates. also has an on-going commitment to provide that staff with state-of-the-art equipment to ensure its position at the forefront of civil engineering and surveying techniques in the region, including the incorporation of GPS technology surveying equipment.